The Personalization Principal states that using a conversational style rather than a formal style of communication is better for learning and understanding. This makes sense, as a teacher you should always meet your learner where they are. This doesn’t mean talking to children like they are children, it means speaking in a way they can connect with. Knowing the boundary conditions of this practice require experience though. Elevating your learners in some way is something you should always try to do. But as you increase the formality, you loose more and more learners. The same can be said for talking down to learners. Most people do not appreciate dishonest familiarity. It must be genuine. I like to think I’m a personable guy. In my teaching, my publications, and my videos, I try to bring out who I am in the work as well as connect with my students, readers, and audience. I find it helps learning and understanding when everyone is relaxed, comfortable, and enjoying themselves. This video is an example of my use of the Personalization Principal as I take the viewer on a tour of The Earthquake Trail in Point Reyes, California. Along the way, I stop at a few kiosks and explain the geology one can learn there. I then visit a place where the ground moved sixteen feet during the 1906 San Francisco Earthquake, breaking a fence the crossed the San Andreas Fault. 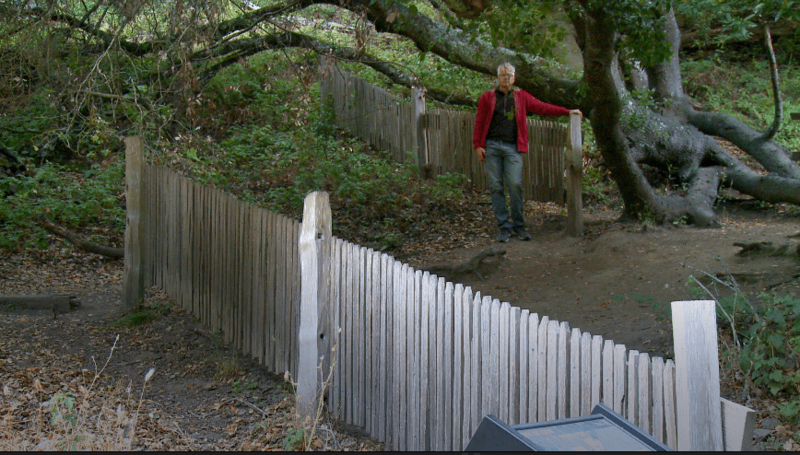 Tony Farley standing where the fence moved 16 feet in the 1906 San Francisco Earthquake.